Issue areas: Transportation; Regenerative Agriculture. Wendi is the co-founder and Program Coordinator for Marin Safe Routes to Schools, the national model program. She is the President of Sustainable Marin and is on the MTC Policy Advisory Council. She has been actively promoting sustainability, affordable housing and green transportation countywide for 35 years. She is a graduate of the Environmental Forum class 44. She has provided training and consultation on Safe Routes to Schools to over 40 communities nationwide, developing new programs and model curriculum. Wendi has been a featured speaker on SR2S at dozens of conferences, nationally and internationally. She is a graduate of the Environmental Forum class of 44. Wendi was named one of 10 national Active Living Heroes for 2006, sharing the award with notables like Barak Obama and Dan Burden. She also received the 2002 Clean Air Champion award from the Bay Area Air Quality Management District and the 2001 Winner of the Marin League of Women Voters 12th annual Bunny Lucheta Award for outstanding public service. 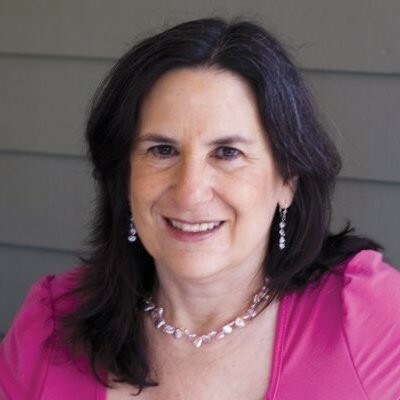 Kiki is past president (8 years) and current vice president and board member of Sustainable Marin, co-founder, past president (5 years) and continuing board member of Sustainable San Rafael, and founding member of Coalition for a Livable Marin (CALM). She serves on the Advisory Board and is Communications Consultant to Marin Environmental Housing Collaborative (MEHC). She served 5 years on the board of The Cedars of Marin and chaired the Communications committee, and on numerous other boards and committees including the Environmental Forum of Marin (Education), MMWD’s Citizens Water Rates Advisory Committee (2011-2013), and San Rafael Mayor Al Boro’s Green Ribbon Committee, which developed the City’s Climate Change Action Plan. During 2014, Kiki served the County of Marin as Aide to Supervisor Susan Adams and on a working group to update the County’s Five-Year Strategic Plan for communications. Kiki La Porta’s marketing agency, Descom Studios has served Marin Clean Energy, Marin Municipal Water District, Marin General Hospital, Marin Workforce Housing Trust, League of Women Voters of Marin Co., and many others. Edward is a Sierra Club Senior Conservation Fellow; Sierra Club California Energy-Climate Co-Chair, 2004-2014; co-founder, Sustainable Novato; and member, Climate Action Working Group, Marin Conservation League. Ed received Sierra Club California’s “Special Achievement Award” in 2011, and City of Novato’s “Proclamation”in 2018 recognizing Ed’s “passion, activism, commitment and leadership in making Novato and Marin County more sustainable for its residents today and the future”. As a founder of Fairfax ReLeaf (Northern Virginia) and McLean Trees (Virginia), Ed led volunteer planting of some 55,000 native trees in parks, stream valleys and urban spaces in Northern Virgina. Ed’s focus in Marin has been climate protection, local clean energy systems, zero waste, toxics reduction and, lately, urban forests. 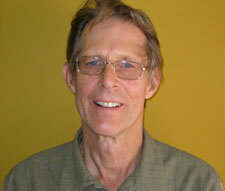 Ed is a retired US Navy and US Foreign Service Officer and a resident of Novato. Teri has been an activist from the age of 4, when she worked with her parents supporting Kennedy in his election campaign against Nixon in 1960. When Teri was 11, she registered voters for the Eugene McCarthy campaign. In college, she worked with Harvey Milk against Proposition 5 - the Briggs Initiative. Then she volunteered full-time with the United Farm Workers for Proposition 14, which would have guaranteed funding for the Agricultural Labor Relations Board, and then moved to the Coachella Valley to work in the legal department, bringing unfair labor practice charges on behalf of the farm workers there. She is a graduate of the Resilient Neighborhoods class at the Mill Valley Library. Teri works full-time in her Marin County bookkeeping service, working mostly with service organizations which help to make the world a better place. Issue areas: Zero Waste and getting rid of single use plastics, especially plastic bottles. Kay is a Multipure Water Filtration Independent Distributor, promoting water filtration in the home or at work and carrying a stainless steel water bottle. She has an active interest in zero waste and getting rid of single use plastics, especially plastic bottles. Her former occupation was a Clinical Laboratory Scientist, most recently at SFGH. Kay is currently President of the Lincoln San Rafael Hill Neighborhood Association. She is a graduate of Environmental Forum Class 35. Jennifer is Executive Director of Sustainable Fairfax, a non-profit that builds community through education and action on sustainability practices and policies. Jen received her MBA in Sustainable Management from Presidio Graduate School in 2010. Over a 16-year career as a paralegal, Jen worked on cases related to environmental contamination, consumer protection, antitrust, and employment law. She served as the Election Reform chair of Democracy Action, a San Francisco Democratic club from 2004-2008. Marilyn is the founder of Trips for Kids®a nonprofit that opened the world of cycling to over 200,000 at-risk youth since 1988 through mountain bike rides and Earn-A-Bike programs. Currently there are over 75 Trips for Kids chapters. She has received numerous awards including Heart of Marin’s Lifetime Achievement award in 2017 and being named a CNN Hero in 2015. After 28 years Marilyn retired from the Trips for Kids staff and decided to use most of her volunteer time working more directly with local environmental organizations. The groups she has chosen to help are: Sustainable Marin, Elders Climate Action, OFA Marin, Resilient Neighborhoods, 350Marin.org, MVCAN, Sierra Club Marin Group’s Climate Change Solutions Committee’s Plastic Ban Ordinance and NextGen America. Pat is a member of Marin Interfaith Climate Action Retired HS and Community College math instructor. Active in Marin Organizing Committee (MOC), organized Marin Interfaith Climate Action (MICA) as affiliate of Marin Interfaith Council, graduate of Environmental Forum of Marin Master Class 44, CERT trained and certified, neighborhood leader for San Geronimo Valley Emergency Readiness Group (VERG), recently trained as Coach for Resilient Neighborhoods. Areas of expertise: Clean Energy Technologies; Zero Waste; Healthy Food Systems. David Haskell is the founder and managing partner of Symmetric Energy LLC. He is a sustainability professional with 30 years of experience marketing and engineering of cleaner production, energy efficiency and renewable energy products and services. During his time in New Zealand, he was the owner and managing director of Solar Specialties Ltd; CEO of the nation’s largest post- consumer plastic recycler; and the Director of the Ministry of Energy’s Conservation and Renewable Energy Division. He was honored for his service to New Zealand by Queen Elizabeth in recognition of his work in the field of resource conservation. David is presently on the Fairfax Climate Action Committee, the Board of Sustainable Marin and was the California State Chairman for the Sierra Club’s Zero Waste Committee. David is a graduate of UC Berkeley with degrees in Conservation of Natural Resources and Political Science.